Gain unique access to the leaders of Universal Creative. 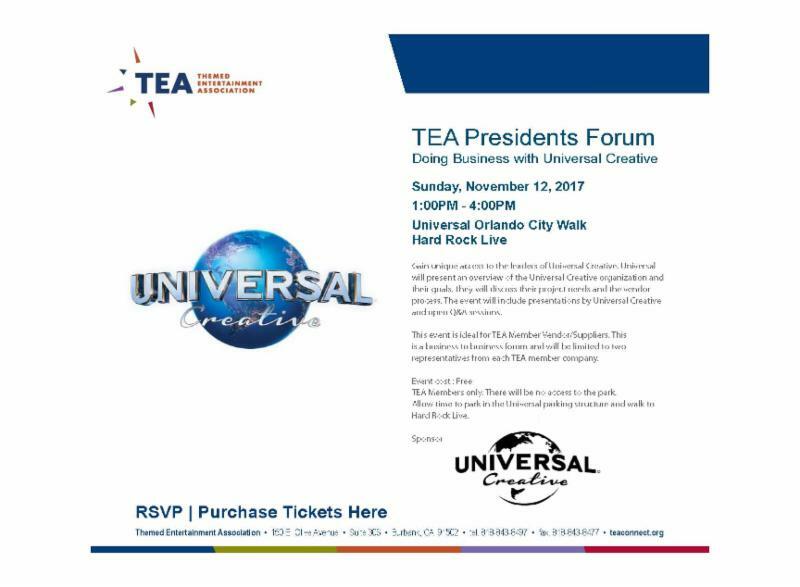 Universal will present an overview of the Universal Creative organization and their goals. They will discuss their project needs and the vendor process. The event will include presentations by Universal Creative and open Q&A sessions. This event is ideal for TEA Member Vendor/Suppliers. This is a business to business forum and will be limited to two representatives from each TEA member company.